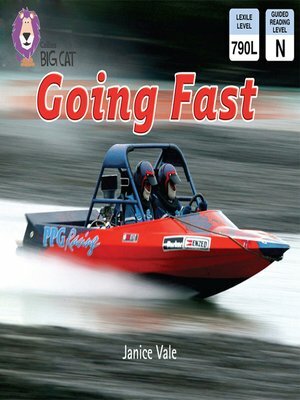 Faster than a speeding boat, and more exciting than a trip on a bobsleigh, this fact-packed non-chronological report looks at the fastest animals and machines in the world. Action-packed illustrations and photographs accompany text explaining what enables each featured animal or machine to be so fast. â?¢ Turquoise/ Band 7 books offer literay language and extended descriptions, with longer sentences and a wide range of unfamiliar terms. â?¢ Text type - A non-chronological report. â?¢ The table on pages 22 and 23 summarises the features that make each animal and machine a contender in the "Going Fast" category. â?¢ Curriculum links - Science: Forces and movement.